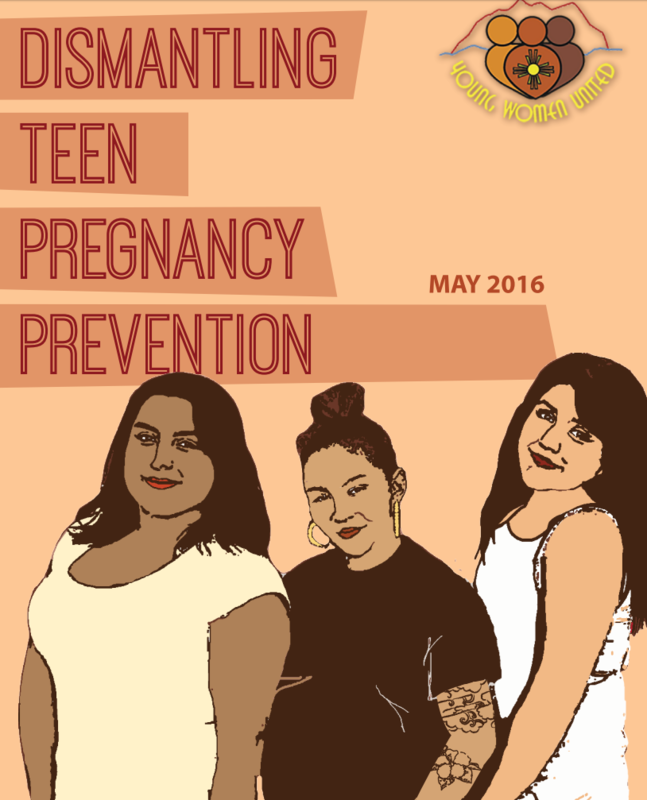 Dismantling Teen Pregnancy Prevention is a new report created by reproductive justice organization Young Women United (YWU) that discredits the myths perpetuated by teen pregnancy prevention models. By dispelling four common myths that fuel prevention campaigns, YWU implores us to recognize that blaming young parents for social problems draws our attention away from the political, economic, and social systems that create inequalities. Grounded in an analysis of historical and structural inequalities, this report argues that rather than championing teen pregnancy prevention, advocates and policymakers must respect young people and focus on changing the systems that produce inequity. Young Women United (YWU) leads reproductive justice organizing and policy initiatives by and for self-identified young women and people of color in New Mexico. YWU’s vision of reproductive justice means young people have what they need to safely navigate their own reproductive lives, healthy relationships and families. They move their work through: community based organizing, policy initiatives, leadership development, and communications and culture shift strategies. Their constituency includes First Nation/Indigenous/Native American, African American, Asian-American/Pacific Islander and Chicanxs/Latinxs many of whom identify across the Lesbian, Gay, Bisexual, Transgender, Queer spectrum.